One of the features that my teachers love best about Book Creator on iPads is the ability to convert a book to a video and post directly to Seesaw. Even kinders can do this!!! Once it's there, a parent can download it, save it, etc. 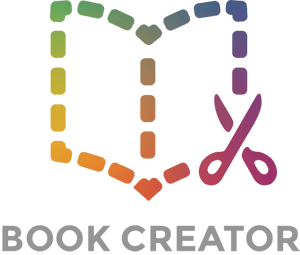 But on Book Creator for Chromebooks, the only option for a student is to "download as ePub" or "print." Since an ePub can't be uploaded to Seesaw (and isn't usable by parents, either), that's not a great option. The teacher can post a link to the book, but that requires the teacher to do all the posting (which also means students can't add commentary or reflection to the post), plus then the parents can't download it. Please, please add a "share to Seesaw" button! Hi - thanks for posting this, it's a great idea. Our plan is to enable students to publish their own books (teachers will control this with a setting for the library). Then they can grab the link and post it to Seesaw. Your suggestion got us talking about a deeper integration with Seesaw for sharing but we'd have to speak to them about whether they want do it. Hello, has the share to Seesaw from a Chromebook happened yet?